Westfield and Art Production Fund (APF) are pleased to announce the third installment of their ongoing video art program. 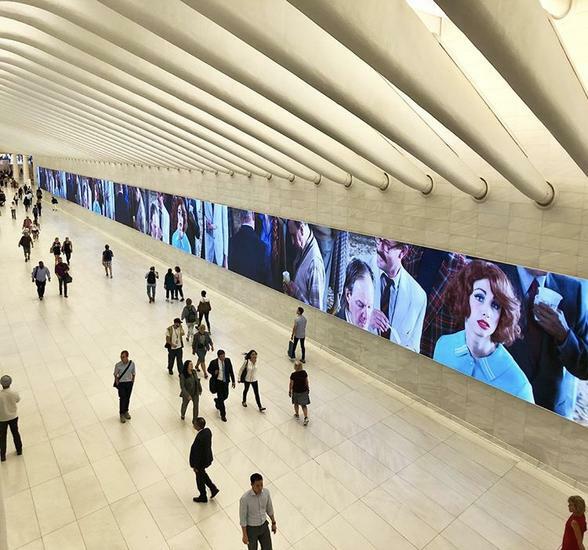 Starting September 15, 2018, an excerpt from Los Angeles based artist Alex Prager’s FACE IN THE CROWD will be displayed across all of the large-scale screens at Westfield World Trade Center, New York, NY and Westfield Century City, Los Angeles, CA until October 15, 2018. 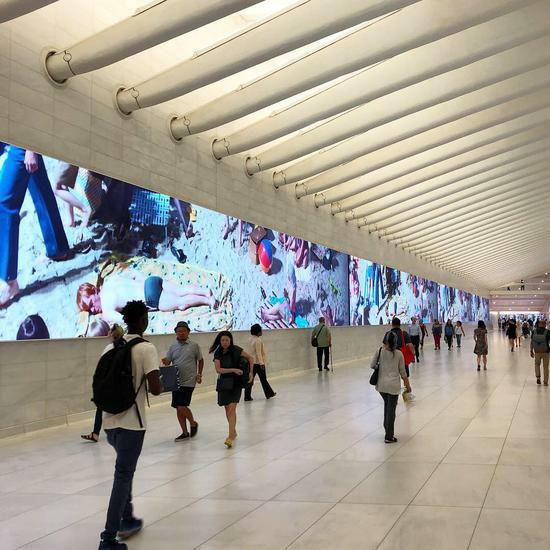 The video works will appear on both center’s state-of-the-art digital media networks, including Westfield World Trade Center’s 21 screens of varying size, with one measuring 4 stories tall and another 280 feet long and Century City’s two 100-foot large-format and high impact digital media screens. Alex Prager (b. 1979, Los Angeles; lives and works in Los Angeles) is a photographer and filmmaker who creates elaborately staged scenes that draw inspiration from a wide range of influences and references including Hollywood cinema, experimental films, popular culture, and street photography. She deliberately casts and stages all of her works, merging past and contemporary sources to create a sense of ambiguity. Her familiar yet uncanny images depict worlds that synthesize fiction and reality. 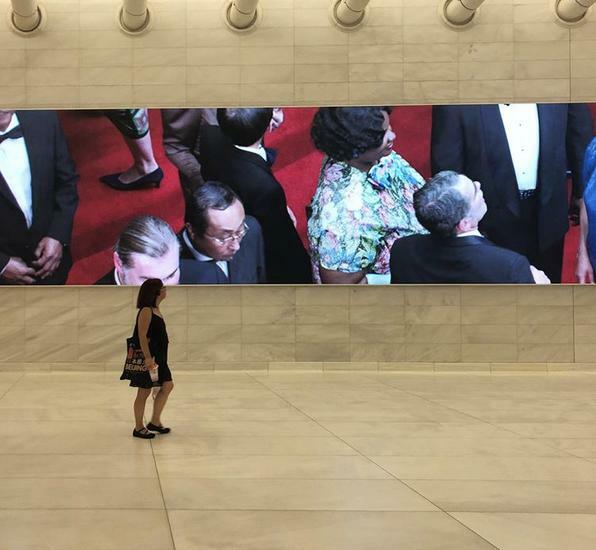 "I've selected a clip from Face in the Crowd specifically with these spaces at Westfield in mind,” said Alex Prager. “Spaces that are filled with the very same crowds and characters I explore in my film. I like thinking about the crowds watching the crowds, playing with the layers of perception, artifice and reality. The presentation will create another opportunity to experience this work about an individual amongst a sea of strangers, in the public sphere, amongst a real crowd of people mirroring itself." “We are thrilled to present an excerpt from Alex Prager’s Face in the Crowd in these dynamic, highly populated spaces,” said Executive Director Casey Fremont. “There is no more fitting environment than these diverse hubs of transportation and shopping to consider the individual. 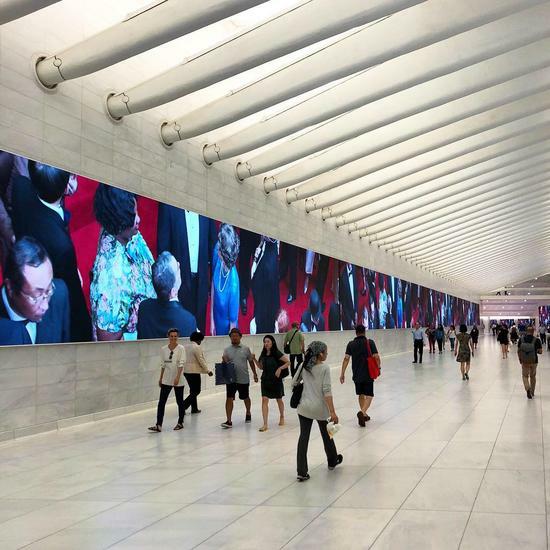 We are truly grateful for our ongoing partnership with Westfield that so generously makes video art accessible to the people of New York City and Los Angeles." Past Westfield and Art Production Fund video art programs include; Marilyn Minter, I’m Not Much, But I’m All I Think About, February 2018 and Rashaad Newsome, ICON, April 2018.